When he wasn’t meditating for hours on end while imprisoned on Arkansas’ death row, Damien Echols scavenged for art supplies. For 18 years, he enshrined his cell with his creations, until a plea finally freed him and two others convicted in 1994 of murdering three boys in the city of West Memphis. The drawings and collages that survived Echols’ prison stay will occupy a New York gallery beginning Saturday. The sold-out opening for "Moving Forward; Looking Back" at Sacred Gallery NYC in SoHo will offer an eye into the mind of the man prosecutors deemed the ringleader of the so-called West Memphis Three. Years of activism from filmmakers and musicians highlighted evidence of wrongful convictions of Echols, Jason Baldwin and Jessie Misskelley Jr., whom the state of Arkansas released -- but stopped short of clearing -- in August 2011 after new DNA evidence surfaced. "There's a big difference, actually, between believing something and knowing something," Eddie Vedder recently told Rolling Stone of how he became fully convinced of Echols' innocence. "I asked him face to face. And I was completely satisfied." Tony Scalzo of Fastball recently took his daughter to a memoir reading Echols gave in Austin. "We were totally moved," he told Rolling Stone. 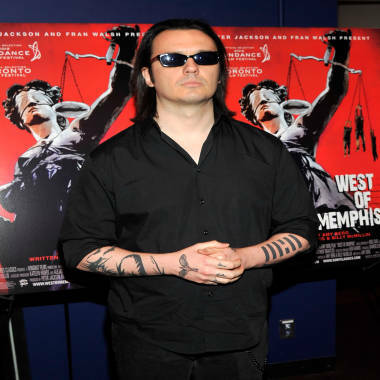 Back in 2000, the HBO documentary "Paradise Lost" inspired him to contribute a song to the "Free the West Memphis Three" compilation, which also featured Eddie Vedder and Steve Earle. "A lot of the people involved in the case on the authority side became judges," Scalzo learned. "Juries became judges, judges became state senators, and all the motivations were just for advancing people’s careers." "The DNA thing, that’s probably the first big change that's made a lot of these stories come to light, or helped get people out of prison who aren’t supposed to be there. That’s the biggest breakthrough in this century," Lucinda Williams told Rolling Stone in a phone interview. "There have been so many mistakes. Too many. One is too many." Williams recorded a new, acoustic version of her 1998 song "Joy" for the album "West of Memphis: Voices For Justice," which is due out on Jan. 15th as a companion to the Peter Jackson-produced documentary "West of Memphis." The collection also features Henry Rollins, Patti Smith and Marilyn Manson. Echols, now 38, credits the Rinzai Zen tradition of Japanese Buddhism for inspiring his artwork. Organizers of the exhibition say part of the proceeds raised Saturday will benefit the Dharma Friends Prison Outreach Project, a division of the nonprofit Compassion Works for All, which distributes letters and dictionaries to inmates. The exhibition opens to the public on Sunday and lasts through January 31st.